As you probably read yesterday, this has been a whopper of a week with bitter cold to winter weather. The ladies are about sick and tired of it. 😀 Even though they can get out into the snow, I don’t see where they have chosen to do so, and I am sure they are ready to change that. Look at the looks they are giving me! That is actually five birds, though it only looks like three or maybe four. There is one totally covered by the others and another partially covered by the others. They are hanging out over by the water dish, which is where I have my heated growing mat that keeps their water from freezing. Silly birds. I am please with how the birds are doing though. 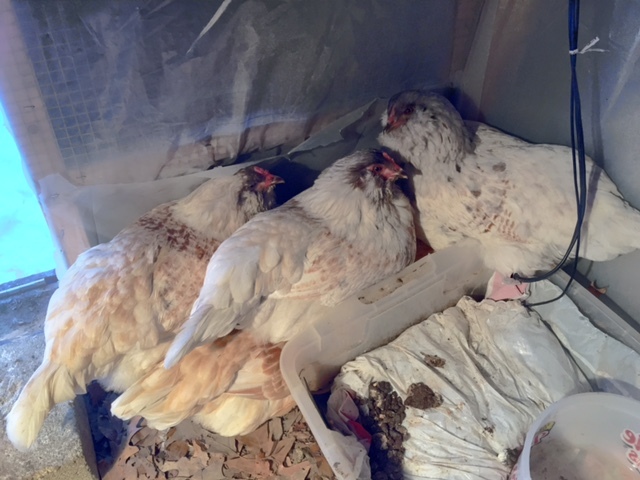 We had temperatures down to -9 F this week and even without heating the coop there was no signs of frostbite. In case you are wondering why I cover my coop, look at the next picture and see the blue around the window near the roosting bar. That is a place where wind would easily blow into the coop and could cause frostbite. I hope to fix that this upcoming spring or summer. Speaking of eggs, my assumption was correct, the egg production fell off this week for the Easter Eggers. 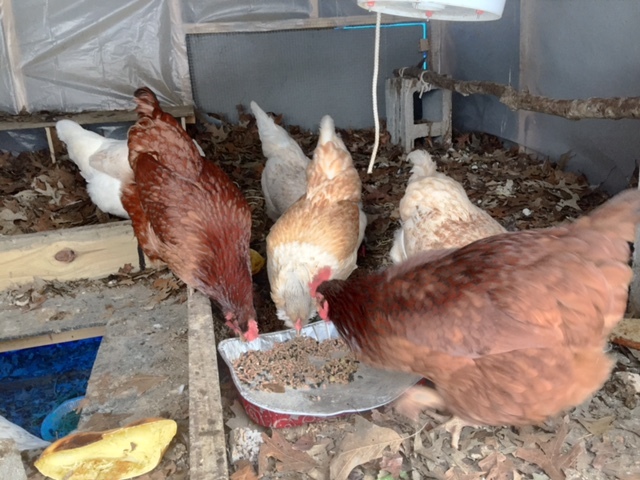 The totals for the week were 19 Rhode Island Red eggs (a few less than normal) and 10 Easter Eggers eggs (a big drop from last week). In short, the Easter Eggers are proving how much they are daylight dependent when it comes to egg laying. Speaking of an adventure, I think we may get a couple of more baby chicks in a week or two. The local co-op is supposed to have baby chicks in next week, and if they have any interesting, winter-hardy breeds that are different from the two we have, we may get a couple of new ones. I am thinking perhaps Welsummers. I would like to add a couple of birds, or at least one, a year to keep the egg production somewhat stable. I am not ready to order them though, I don’t think, as that can get expensive. I should know something next weekend or the weekend after. 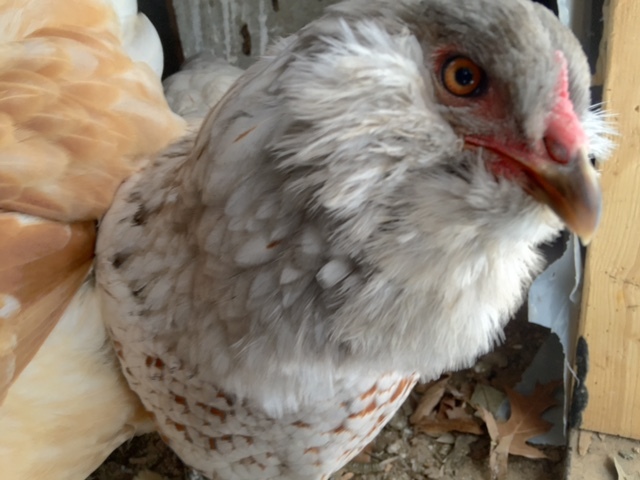 This entry was posted in Chickens, Hobbies, Learning, Pictures and tagged in Bitter Cold, chickens, Easter Egger, Easter Eggers, eggs, frostbite, Rhode Island Red, Rhode Island Reds.